Nothing makes me happier than a REALLY good breakfast. I can’t think of anything better than waking up to The Works. Even better if it comes with copious amounts of chocolate. Today I’m sharing a recipe that I used extensively when I was trying to stop binge eating. The trick to really stopping is giving your body plenty of fibre and water to balance the crazy blood sugar fluctuations caused by extended periods of binging and restriction. 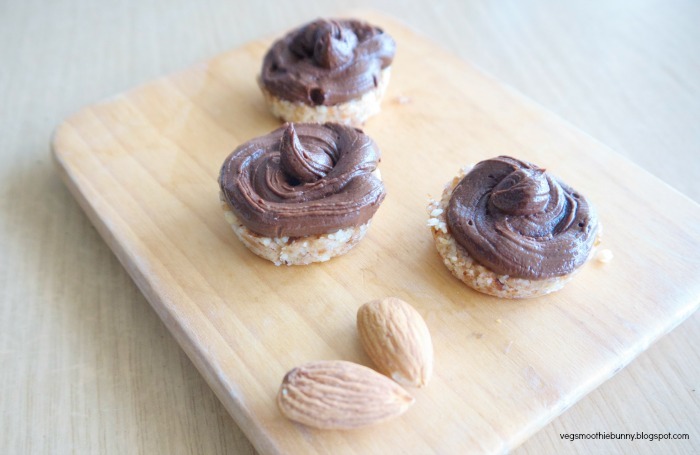 This nutella is power packed with lots of good fibre and good fats from the hazelnuts to slow the release into the bloodstream. Also did I mention that it has only 3 main ingredients? 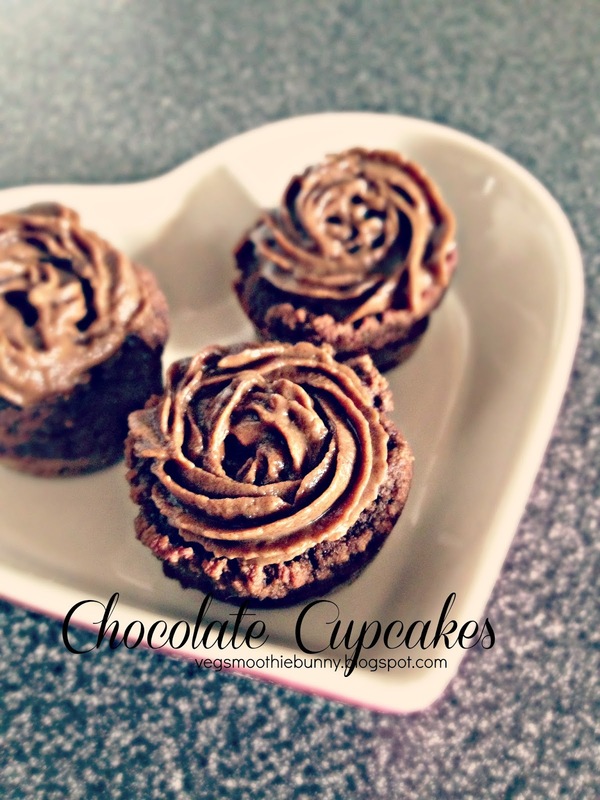 Hazelnuts, dates and unsweetened cocoa powder! Take that store bought sugar filled Nutella! Ingredients are placed on a label in order of their quantity used in the product. And in store bought nutella, the first two ingredients are sugar AND palm oil then hazelnuts! All store bought producs have copious amounts of refined sugar and unhealthy fat in them because sugar and fat together act as addictive agents to compel you to eat more of the product. When companies have got you hooked, you buy more! Other kinds of sweeteners if you need; such as honey etc. Leave to cool after roasting. By this time it would smell amazing and be a beautiful golden brown. Try not to eat all of it now. We need them for the Nutella! Over here I’m using 7 honey dates I bought from the same store. If you buy them fat like that, there is no need to soak them. But if you are using the dried out ones you’ll have to. 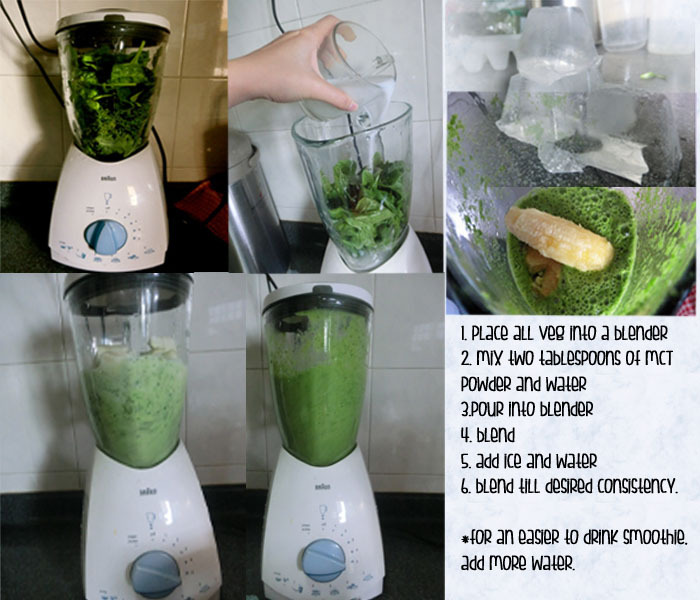 I use a smaller, more powerful blender like my darling shimono to blend the dates with a tablespoon of water first. 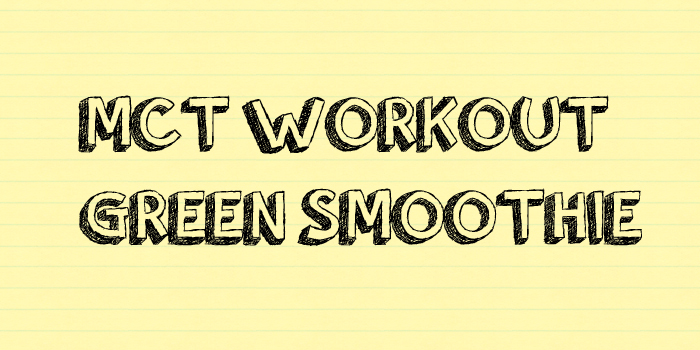 If you have a powerful blender, you can skip this step. My food processor is really small and previously when I tried this recipe, there were bits of dates in the nutella (fibre! )because my food processor couldn’t handle both dates and hazelnuts at the same time. 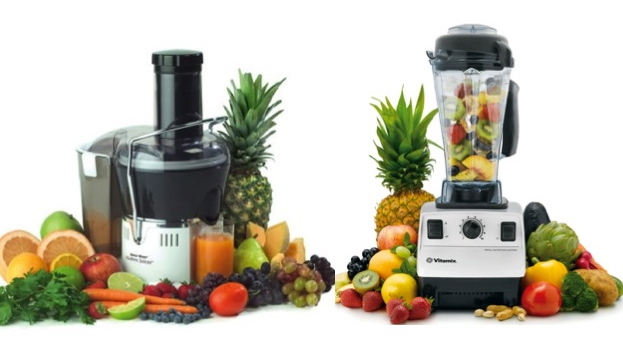 If you have a vitamix or equivalent, I’m sure it would not be a problem at all. Next, place the hazelnuts, date paste, cocoa powder into the blender. I did my hazelnuts first because that was all that could fit. Haha. 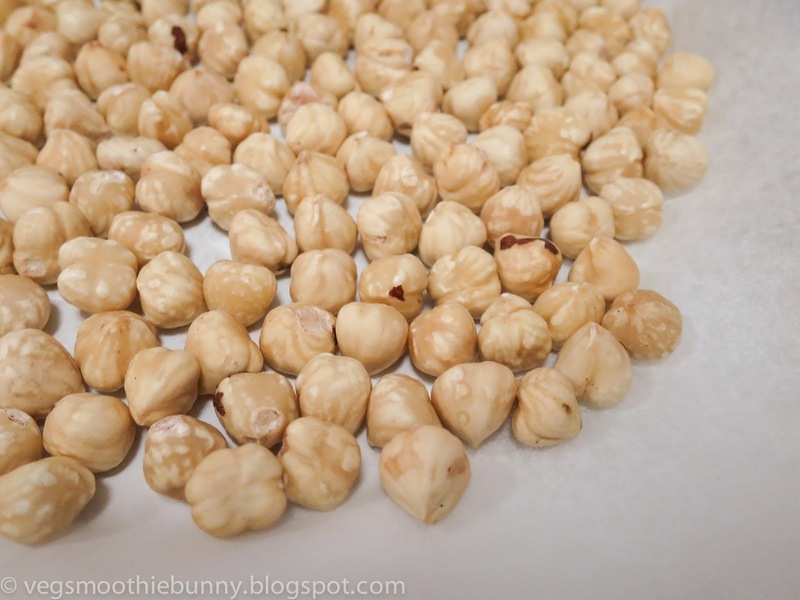 Once you start blending, the nuts will go from powdery to smooth and buttery. Exactly like how normal nut butters are made. I used vanilla essence and a tablespoon of coconut oil in this recipe because it makes it smoother. But entirely optional of course. When you see that most of it has been incorporated, it will look like that texture above. Now is the time to pour in your liquid of choice. The smoother and creamier you want it, the more liquid you put in. Start with 1/4 cup and then work your way up. I ended up using about 3/4 cup for this batch. 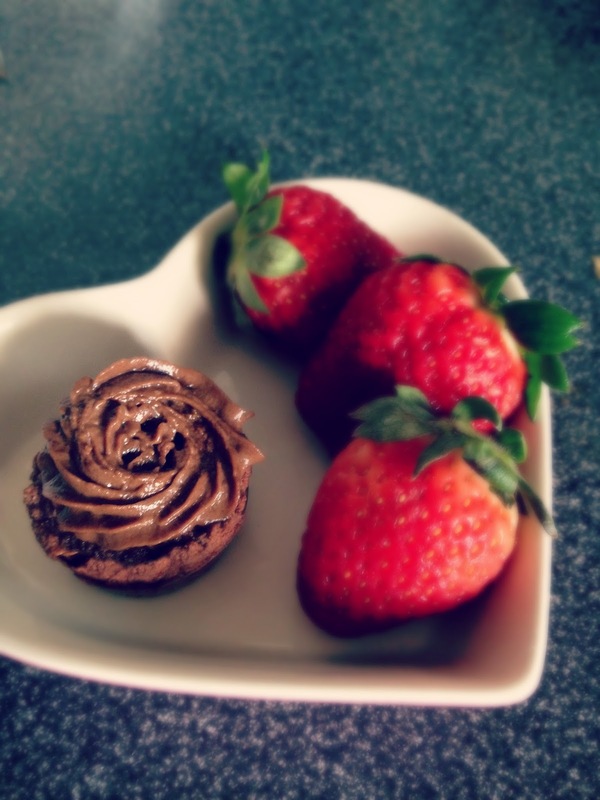 Constantly taste your nutella to see if it needs more dates to sweeten. If you want a darker colour, it’ll need more cocoa powder and consequently, more dates to sweeten because the cocoa is bitter. Blend till you are happy with the texture! I love it when it turns gloriously creamy and fudgy! I’ve served it to my friends with breadsticks ( they said it’s like a less sweet version of nutella!) but my favourite is to dip my fruits in it and indulge! Such breakfasts always make me so excited to wake up to! Combine all dry ingredients together. Whisk eggs then combine all wet ingredients. Whisk together till cake batter is formed. Coconut flour is very fibrous and absorbs A LOT of water so if after machine whisking the batter looks like cake crumbs, add in 1/2 cup water and whisk again still smooth. Spoon/ pipe into mini muffin tin. Place in oven for 10 min or till bamboo skewer comes out clean. Remove from tin and leave to cool. 1/4 cup unsweetened cacao powder. Blend together till a smooth paste forms. Fill piping bag and to decorate muffins/ cupcakes. Today was one of those days. Too much work and too little time Everybody laying their demands on you and insisting that you get things done because their arms were being twisted too by somebody higher up. I’ve learnt that I cannot lie life dictate my mood. That just because life is tough, does not mean that my mood has to sour. That just because I’m going through a rough patch, does not mean I have to go through it unhappily. No matter how tough life gets, no matter how much work there is to be done, there will always be something beautiful- people and things worth being grateful for and cherishing. So it took me by surprise when last night I was besieged (no other word for the moment) by a terrible urge to binge. And it wasn’t just a usual binge. I was craving cupcakes. 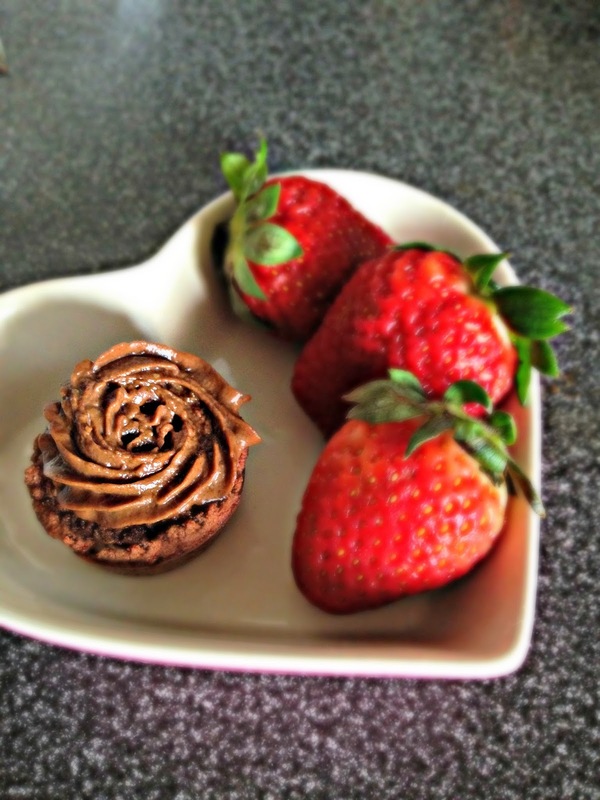 Nutella, chocolate cupcakes. In the middle of the night, I lay in bed mentally sashaying down the mall’s corridor at Bugis to lay my hands on ALL TWELVE of Twelve Cupcakes. Did I even like cupcakes? Not really. But last night I couldn’t stop thinking of them. I wanted to chomp down on not one, but all twelve different flavours. I am ashamed to say I almost planned to hurry down the next day when the shop opened to buy a large box and hurry home to devour them, maybe together with a McDonalds meal. I envisioned the first bite- soft cupcake meeting lusciously creamy frosting. Chocolate. It had to be chocolate and I wanted nothing else. I didn’t even want to stop the urge. I knew the influx of refined sugar would be too much for me to handle and it would cause me to binge after but I just wanted it so badly, so irrationally. Unfortunately, when I woke up this morning, the urge had not in the least bit subsided. I wanted chocolate. And I wanted it now. And it couldn’t just be any chocolate. I wanted it with a cake like texture drowned in the fudgiest, creamiest, thickest chocolate ever. I wanted to drown in sugar, health be damned. But I have come far enough in my journey to know that that one irrational action would scar me and it would take too long to heal. Everything I had worked so hard for would be for nought if I gave in to that urge. I had to compartmentalize and work through the urge. Craving chocolate or anything wasn’t the issue per se. Were there healthier ways to do it? I knew from experience that when a binge urge arises, it’s usually from boredom or stress or my body crying out for nutrition. I knew that I had to give myself fibre and nutrition. (It always works, trust me) Usually I eat an apple. But today, I wanted chocolate and nothing else would do. So I ran into the kitchen, opened doors and slammed drawers and dumped a concoction of things into a bowl and mixed it all together in a mindless frenzy I am not proud of. But 15 min later and the smell of chocolate wafted into the air and I cautiously peeked into the oven and there they were. Gorgeous, moist and so small, perfectly sized. I gingerly poked a bamboo skewer into one. It came out dry, ready. I blended, frosted and there it was, ready to be eaten. I devoured the first one still hot from the oven, and another, my mind easing at the fact that I could eat ALL of them and it wouldn’t be a problem because all of these were perfectly healthy and actually good for me. The next time you are craving something horribly sugary and unhealthy, I hope these little babies – totally sugar free, vegan, carb free, paleo coconut flour chocolate muffins/ cupcakes with an lusciously creamy avocado-chocolate frosting packed with loads of nutrition save you as well. No. I hope you know that you have the power to save yourself as well and you can have your cake and eat it too. 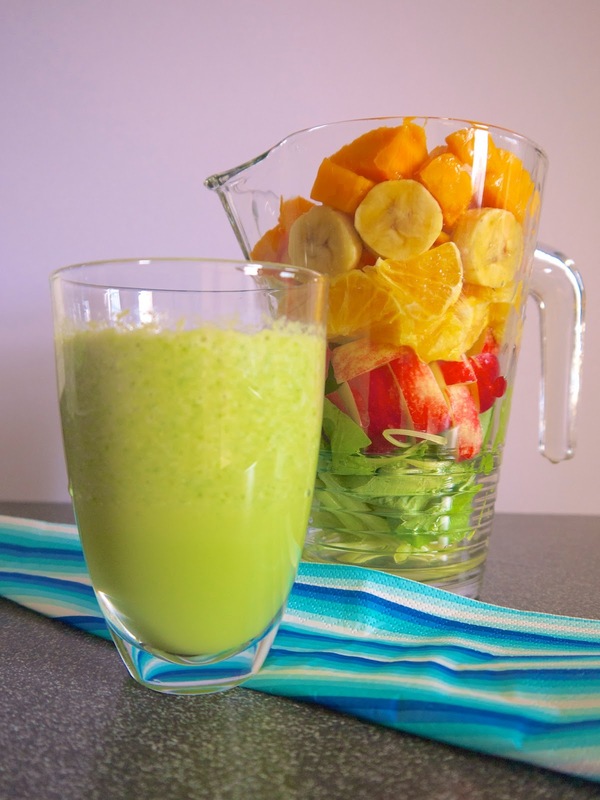 Using a food processor or blender, blend all ingredients together. I suggest pulsing it for 5-8 times till they are well mixed but small and grainy. I was too enthusiastic with my first batch and accidentally over blended it into fine almond meal. Oops. Using your hand, mix the coconut oil into the mixture. Place a spoonful of the mixture into a mini muffin pan and use a bottle cap to press down firmly to make a base. Freeze overnight. 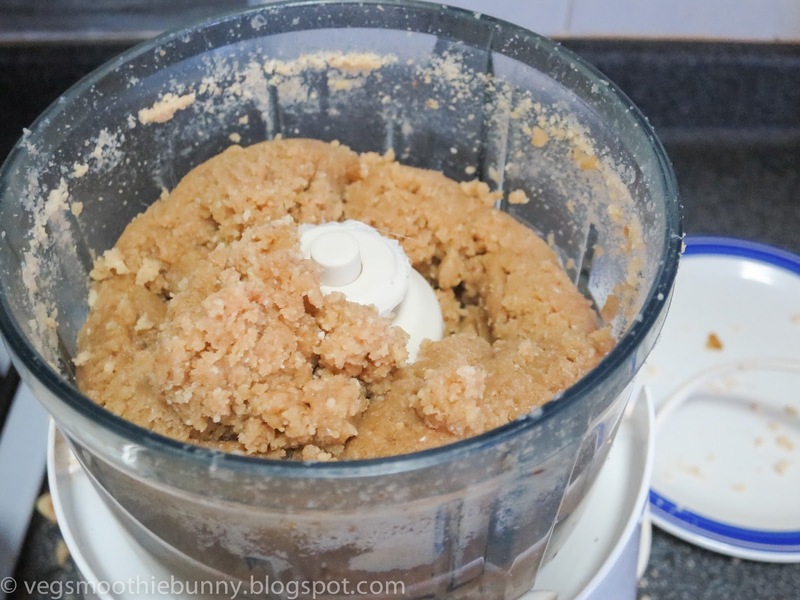 Blend everything together in a food processor. DO NOT use a blender. I tried and it was horrific 🙁 Nothing at the top could be blended and I had to whizz hot water and soap after to remove all the chocolate gunk from the bottom of the blades after. Pulse in a food processer till creamy and smooth. Taste- test it and add more salt if needed to bring out the chocolate taste (I didn’t need to). If you are not used to a sugar free diet yet, add some unrefined sugar and whizz again till preferred taste. Try not to eat it all. You can spoon the mixture on top directly but I found it easier to place the filling in a piping bag and pipe it on the base. Don’t put too much. The chocolate is very rich and fudgy and can get overwhelming. Freeze for 2 hours or more.